The ASX-listed retail group reported group sales from continuing operation were up 3.4 per cent in the year to 24 June 2018 to $56.72 billion, while earnings before interest and tax increased 9.5 per cent to $2.55 billion. Net profit was also up 12.9 per cent to $1.6 billion on continuing operations, or 12.5 per cent across the group to $1.72 billion. The supermarkets division was a solid performer, reporting a 4.3 per cent increase in sales over the 52 weeks to $37.38 million, and a 9.6 per cent increase in EBIT to $1.76 billion. The Endeavour Drinks group, which includes Dan Murphy’s and BWS, also reported sales growth of 4.5 per cent to $8.27 billion, as well as a 2.8 per cent increase in EBIT to $516 million. Less optimal was Big W, which reported a $110 million loss, a 26.9 per cent drop year-on-year. This was off less than 1 per cent sales growth to $3.57 billion. The group said lower prices, an improved product range, changes to store experience and an evolving digital offer did, however, see comparable items per basket increase by 3.5 per cent year-on-year, while customer transactions were up 1.4 per cent. Woolworths Group CEO, Brad Banducci, highlighted strong customer satisfaction across Woolworths supermarkets as a major achievement, with an array of voice-of-customer (VoC) scores improving over the past 12 months. Overall customer satisfaction in June was up 4 percentage points to 81 per cent, sustaining levels reached in March. Store-controllable VOC also stayed at 84 per cent in Q4, the third consecutive quarterly result. Woolworths records eight VOC measures including ease of pick up (up 12 points year-on-year), fruit and vegetables (up 8 points), on-shelf availability (up 4 points), range (up 3 points to 77 per cent) and weekend scores (up 4 points to 77, driven by increased trading). The retained or higher results came despite the removal of single-use plastic bags at the end of June, an initiative Banducci admitted was a “headache” for the business. The group previously gave out about 3.2 billion bags a year. Woolworths Group also noted positive customer feedback correlated with transactions growth, with comparable transactions up 4.2 per cent in FY18 and 3.6 per cent in Q4, 2018. Woolworths is now planning to introduce Net Promoter Score (NPS) in FY19 as part of its short-term incentives customer feedback measures, a move the group said aligns with its ambition to provide ‘consistently good’ shopping experiences. In FY18, Woolworths launched a new group purpose, ways of working and core values. Over the past year, it has also rebranded its home brand offerings, Select (now Woolworths) and Homebrand (now Essentials), work that encompassed 5000 products. Alongside this, 80 supermarket stores were renewed and 54 upgraded. 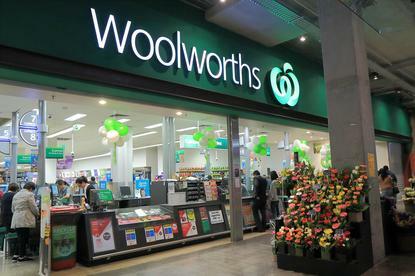 Another major area of focus for Woolworths over the past year has been investments into digital and data, spearheaded by its WooliesX division. Achievements include the national rollout of ‘pick up’ services across more than 1000 locations, two new customer fulfilment centres to support home delivery experiences, and improvements to underlying digital infrastructure. As a result, VOC scores for online lifted 6 points to 79 per cent at the end of June, with total online sales up 30 per cent to $1.1 billion, representing more than 3 per cent of total supermarket sales in FY18. Of these, one-quarter were ‘pick up’ sales. Banducci said more personalised engagement with customers led to an increase in Rewards customer loyalty program members to 10.9 million by end of June. Rewards VOC was also up 9 per cents to 71 per cent. “Heightened customer expectations and competition will require us to continue investing in order to provide our customers with a seamless shopping experience with a number of exciting new initiatives expected to roll out over the course of FY19,” Banducci commented. Overall, the group was pleased with the progress made in FY18, he said, even as customers adjusted to loss of single-use plastic bags, a competitor continuity program, meat and fruit and vegetable deflation and cycling of the ‘Earn and Learn’ program in the previous year. “We remain energised by the material opportunities we have to create a better business for our customers, team members and shareholders in the future,” Banducci said. “We expect sales momentum to improve over the course of the half. Our customer satisfaction metrics are broadly back to the levels prior to the removal of single-use plastic bags, including time in queue. Our overall brand metrics have also continued to improve relative to our competitors, including price perception, brand preference and quality of fresh. But while supermarkets showed solid growth, Big W remains an area requiring further improvement. Although digital visits and some customer scores were up, Banducci said it was ultimately a year of “stabilisation” for Big W and admitted there was still a long way to go. Woolworths is in the third year of a three-year turnaround strategy aimed at better utilising data, driving product innovation, improving customer service and lifting value.